We like to make it as easy as possible to order from us that's why you have the choice of five convenient ways to place your order with us. Our on-line ordering system makes it easy to place an order with us. Simply choose the items you would like to have, add to cart and then follow the super-easy check out process. Our one page check out allows you to view the entire purchasing path in one glance and make changes at will. Once your order has now been placed with us on-line an email confirmation of your order will be sent to the email address you provided. Pending Payment – Your order has been reviewed by us and checked for accuracy. You have seven days from the original date of the order to make changes/edits to your order after which time your payment will be processed. If you would prefer not placing your order on-line please choose from the methods listed below. Our Customer Service staff will be glad to take your order Monday - Friday 9:00-4:30 p.m. Pacific Standard Time. Should you call outside of our office hours, you may also leave a message with us and we will return your call as soon as possible. Please indicate the items you've selected and supply us with a daytime phone number where you can be reached. As soon as we receive your email we will call you back to confirm your order total, as well as your credit card and shipping information. 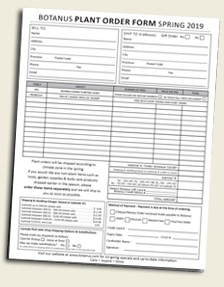 For those who prefer not to order directly on-line download this printable copy of our current Order Form (PDF, 310KB) is for you to use. If you have any questions at all regarding your order please don't hesitate to contact us. We would be more than happy to answer any questions you may have!